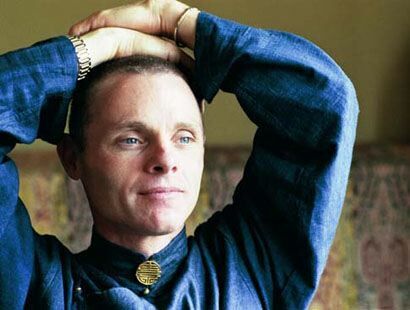 The “absolute view” is a phrase that I picked from Adyashanti. His YouTube speech is here along with a transcription. And so as I said it can be very, very difficult for any spiritual teacher to get someone to stop holding on to their fixation in the absolute view. It’s hard to get them to see it’s actually the ego that fixates in the absolute view. Yes, there is the absolute view. It’s true there is no problem. It’s true there is no separate self. It’s true there is nobody to do what I am speaking about. But I’m not speaking to the ego here. I’m not telling the ego it needs to do something or doesn’t need to do something. I’m not speaking to any sense of a separate self. What I’m speaking to is directly to the reality itself. Spirit is speaking to spirit here. Reality is speaking to reality. It may sound like I am talking to a person and directing a person but I am not. What I am speaking about here is inherent in the perception of awakening itself. Because that which is awakened in us is compassionate. Its nature is undivided, unconditioned love. So it doesn’t move away from that which is unawakened – it moves towards it. This “unconditional compassion” is the immanent aspect of Brahman. It is the personal God – the light of all lights, the power of all powers and the intelligence of all intelligences. Below are some snaps from Google Books of The Vedanta Way to Peace and Happiness by Swami Adiswarananda. This author was highly recommended to me and from what I’ve read he seems to be right on the money. You are currently browsing the SunYogi Blog blog archives for January, 2010.